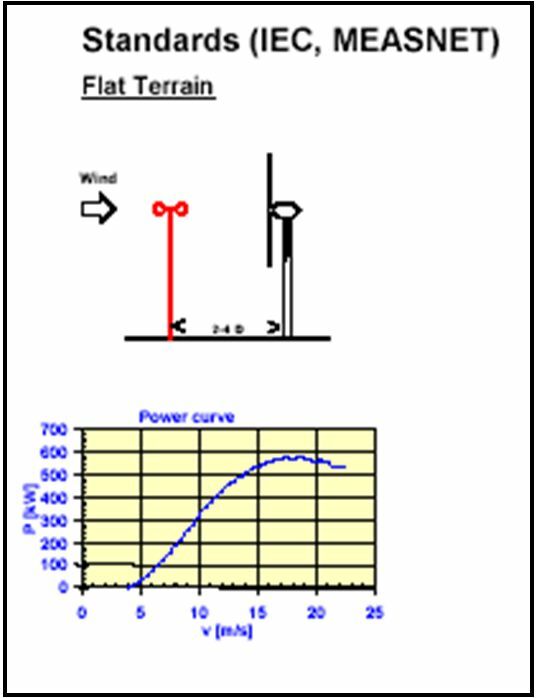 A power curve is a relationship between free wind speed at the WT location and the associated expected power being produced. 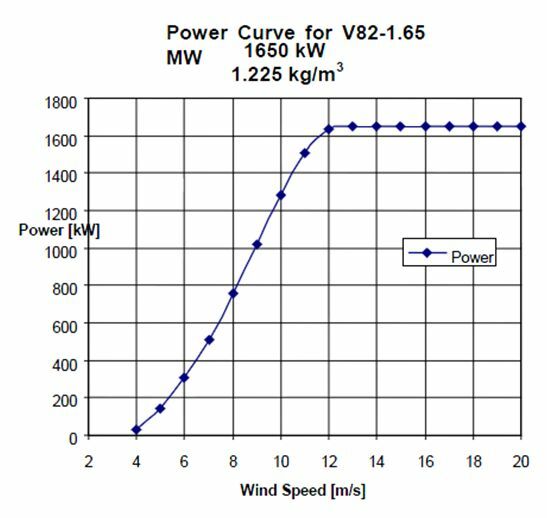 Power curve warranties are often included in contracts, to assure the wind turbine performs according to specification. It is measured following international standards to demonstrate compliance with warranted values. How to judge if an anemometer is good enough. How to deal with complex terrain and obstacles. How to correct for low air pressure. How to measure the production and with which devices. Basically, it provides an accepted way of estimating the result’s uncertainty. Any deviations from the standard (in procedure or interpretation) will cause severe deviations and uncertainties that will make conclusions very hard to take. IEC 61400-12, in use since 1998, has been replaced by IEC 61400-12-1 (December 2005), which includes MEASNET requirements and has additional requirements for anemometer. The following version is IEC 61400-12-2, addressing nacelle anemometry. 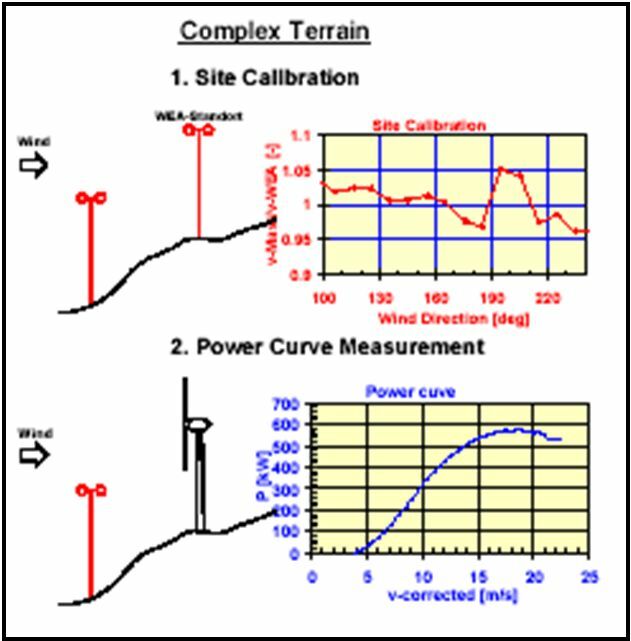 IEC 61400-12-1 without site calibration is the method used on flat terrain. 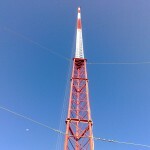 Basically, a meteorological tower (met mast) is positioned near a turbine to measure the wind, and a uniform flow at mast and turbine is assumed. The normal uncertainty is 5-8 %, depending on annual wind. The best position for the mast is in the middle of sector, and it has to be between 2 and 4 diameters in front of the turbine (for instance for a V90 it would be between 180 and 360 meters). It is often erected at a 2.5 diameters distance. The met mast can be erected before or after turbines are on site. 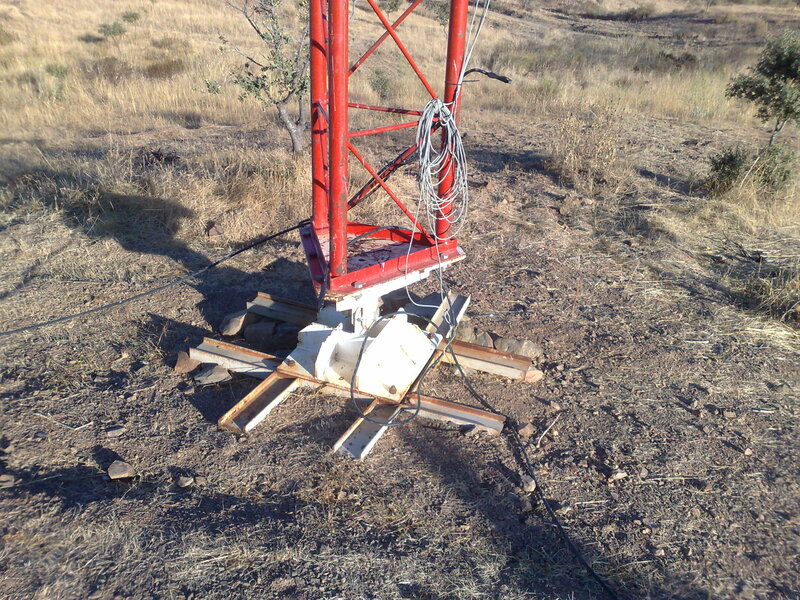 IEC 61400-12-1 with site calibration is the method used on complex terrain. In this case, a temporary met mast is placed in the future position of the selected turbine, and at the same time the wind farm definitive met mast is erected. 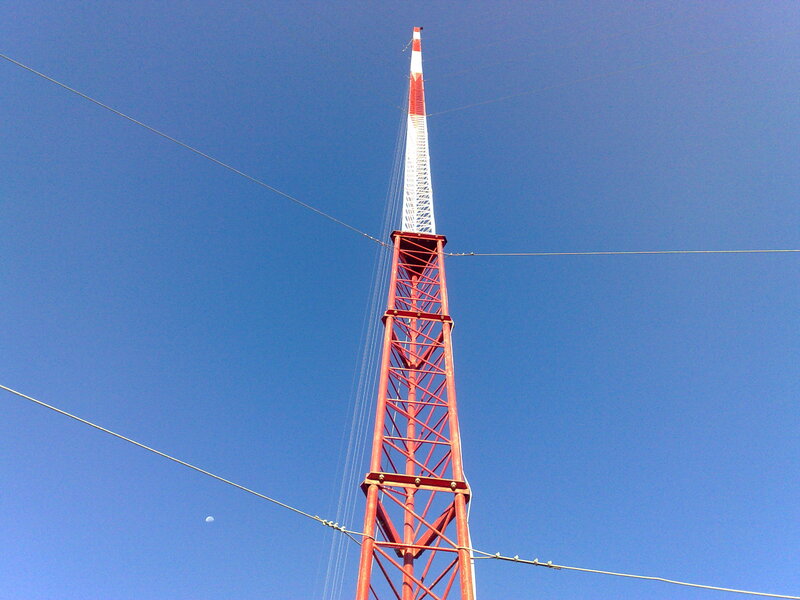 The 2 masts works together for a certain amount of time, until a relationship between the wind measured by the definitive met mast and the temporary met mast can be found. After, the temporary met mast is disassembled, the WTG is erected in his position and it can be defined if the energy produced is in line with the expected generation with the wind speed (extrapolated using the data of the wind farm met mast and the previously defined correlation). In a standard wind farm, 3 different Meteorological Tower (known as Met Mast) are installed. First of all, a tower is needed to provide several years (normally at least 2) of wind data. This tower is used to collect not only wind data, but also other information such as temperature, humidity, rain and so on. Normally these towers are lower that the WTGs that will be installed on site, with an average height of 40 meters: the wind speed at the hub height will be interpolated at the correct elevation using one of the available formulas. If after a deep study of the energy that can be provided by the wind a promising location is found and the wind farm construction start, one or more temporary met mast are erected. 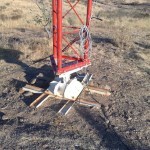 This towers measures the actual wind speed in the positions where a WTG will be erected, at the hub height (80 meters or more) and are used to calibrate the power curve, that is if the produced energy is in line with the expected values. After a couple of weeks (normally 2 months) this tower is removed and a turbine is installed nearby. The third tower is the wind farm tower: this tower will be used to transmit to the control centre the meteorological situation in the location and it has a paramount importance for the management of the site. It normally has the same height of the turbines of the wind farm.